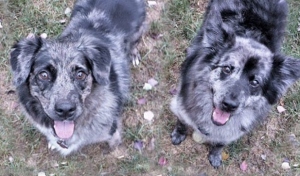 What we do: We evaluate Australian Shepherds and Australian Shepherd mixes from selected shelters and private owners no longer able to keep their Aussies. If we judge a dog suitable for placement with an average adopter, we foster it in private homes and get to know the dog. We then post the dog to our website and place it in an adoptive home where the energy levels, expectations and personalities are a good fit. Think of us as a "doggie dating service"! mixes in the United States and Canada. but do want to help? We depend on donations to supplement our adoption fees. Sometimes, the cost to rescue a dog far exceeds our adoption fee. You'll receive a letter acknowledging your gift for your tax records. 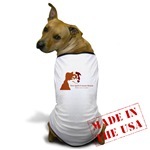 You can also help by visiting our Paws To Shop section. You can do a little or a lot: no experience necessary! Make reference check phone calls, do home visits, help with transporting dogs, fundraise, maintain web pages, help at rescue booths, or become a foster home. 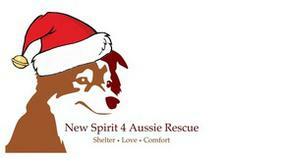 Your fellow New Spirit volunteers will be there to help every step of the way! 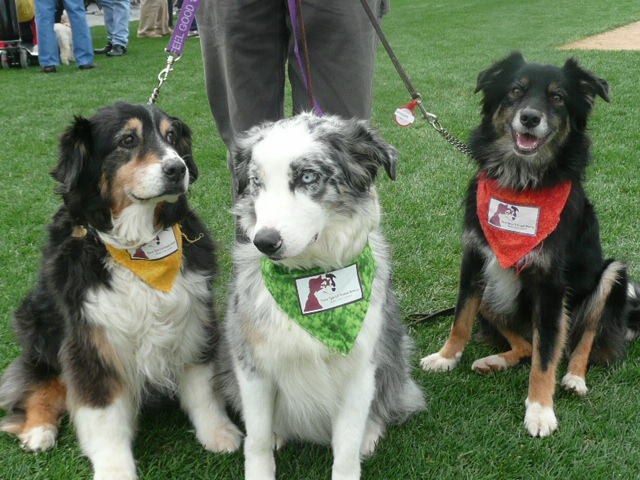 left to right, Kye Shasta and Ranger appeared at many fundraising events and thank you for your generous support of New Spirit. * Florida residents are advised that New Spirit is not registered under the Florida Solicitation of Contributions Act (Chapter 469 Fla Statutes) to solicit contributions from Florida residents. Accordingly, nothing on the website should be construed as a solicitation from a Florida resident. 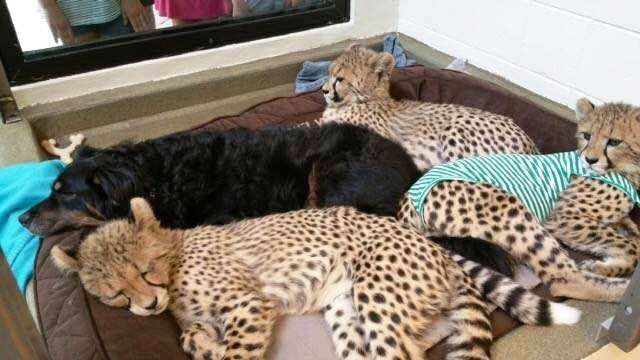 Blakely, a 6-year-old NS4AR adoptee, is the live-in 'nanny' who helps play with and socialize babies at the Cincinnati Zoo. Babies often come to the nursery when their mother has rejected them. 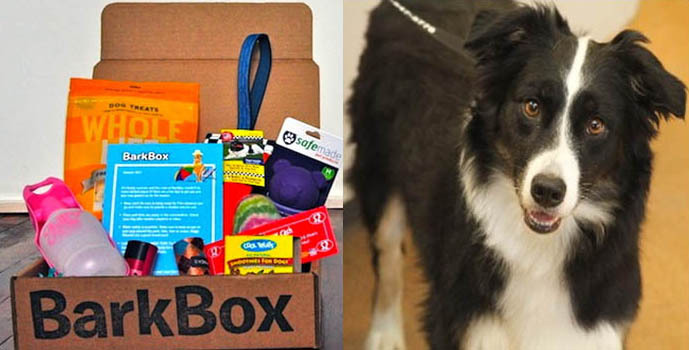 Twitter: Get $10 off any BarkBox subscription using the code NS4ABBX1 & @getBarkBox will donate $10 to our rescue for every coupon code used! Blakely Celebrating his 6th Birthday! 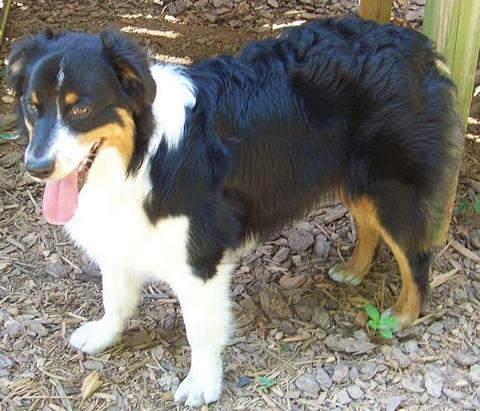 We have wonderful adoption stories on our Wags and Wiggles page! 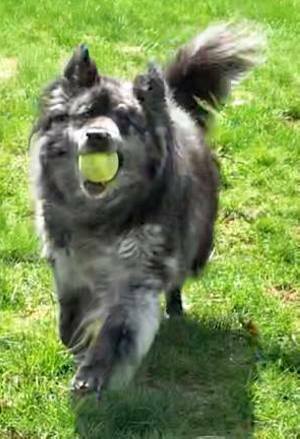 Read about Kona's journey home to Brenda and Bob, and the wonderful people who made it possible. New Spirit adopters Kevin and Nicole celebrated the anniversary of the grand opening of their store in Vorhees, NJ. 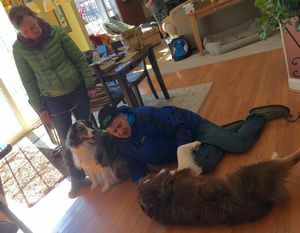 One of the first retailers of its kind in Camden County, this family-owned small business provides personalized care for beloved dogs and cats, with customized advice on nutrition, grooming, and other elements of your pet’s well-being. EarthWise Pet Voorhees will carry product lines to meet every pet’s needs, including grain-free and low-carb options, unique protein sources, and certified humane cat and dog food and treats. 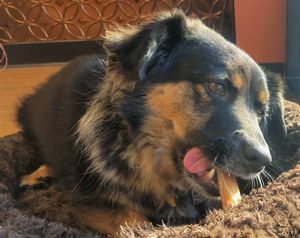 NS Adoptee Peanut enjoying an EarthWise treat. 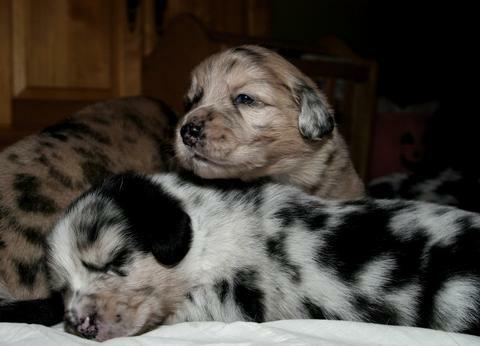 Meet Mark and Jack! Jack is nutty and absolutely makes Mark's day. Raise money for New Spirit every time you shop on line! Using AmazonSmile to do your shopping benefits New Spirit! 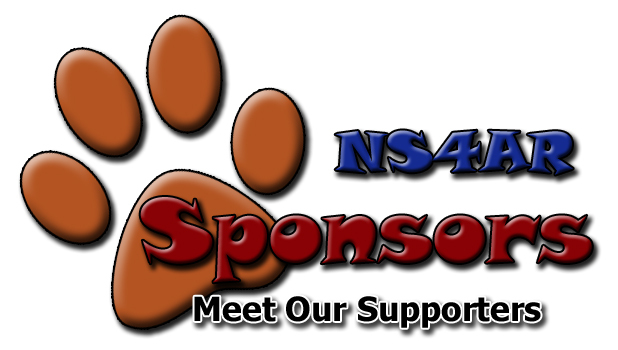 We have an online store at CafePress and we truly appreciate your support of our sponsors! 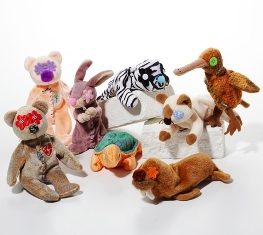 Glad Dogs Nation adorable handcrafted dog toys start out as unwanted children's stuffed toys. They wash them in hot water using biodegradable detergent. They remove the hard eyes and put cute appliques in their place. They replace the hard noses with colorful pompoms. And they always add at least one squeaker inside. Then they offer the toys at a price below what you'd pay in a pet store - so no one needs to shed a tear if the toy is destroyed during play. 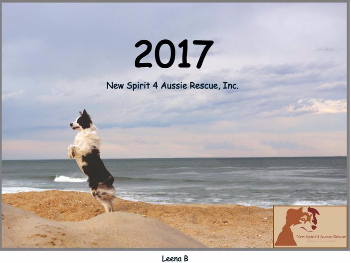 Finally, they spread the gladness by donating 100% of their profits to Glad Dogs Foundation which funds initiatives, they are donating 20% of every purchase of toys and anything else at gladdogsnation.com to New Spirit 4 Aussie Rescue when you use coupon code NS4AR. Tyler passed away peacefully at home at the age of 14. He was surrounded by his humans and sister dog, Tess. 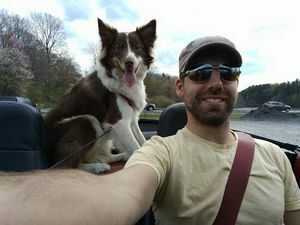 His hobbies included going for car rides, hiding tennis balls, and snuggling close for belly rubs. He loved nature walks, and spent many sunny afternoons lying under his favorite tree in the backyard. He occasionally chased skunks, but this poor life choice was surpassed by his sweet and playful personality. He was a favorite pillow to watch movies with, a cheese enthusiast & sneaky bacon thief, and enjoyed barking for no apparent reason. He protected his home from squirrels and vacuums, and never left dad's side after surgery. Even in his last hours, he still wagged his tail and licked my nose. Tyler was a gentle boy with a big heart. He gave infinite love, and lives on in our fondest family memories. He had a good life, and our world was made better with him beside us. We had a really good run, buddy. We love you. ​The calendar will be offered for sale on our website in plenty of time for 2020. Every submission that meets requirements is guaranteed to appear! Get started today. Just Click here!